Cayla is a 2009 MassSTAR conference alumna and has been involved in the organization ever since! 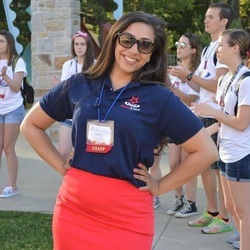 She has served as a Junior Facilitator, Junior Board Member, One-Day Conference Co-Chair, and from 2012 until the present she has held the title of Director of Programming. Her favorite part about this role is seeing the delegates bring the workshops to life. In the past, Cayla has worked with Congressman Joe Kennedy and the structure of his Congressional Youth Cabinet. Cayla has also worked with the Dudley Street Neighborhood Initiative both in and out of the MYL Foundation’s collaboration. She attributes many of her networking, event planning, organizational and other professional skills to her MassSTAR experience and fellow OUTSTANDING alumni/ friends. She is grateful for the opportunity to work with talented and inspirational students and volunteers every year.